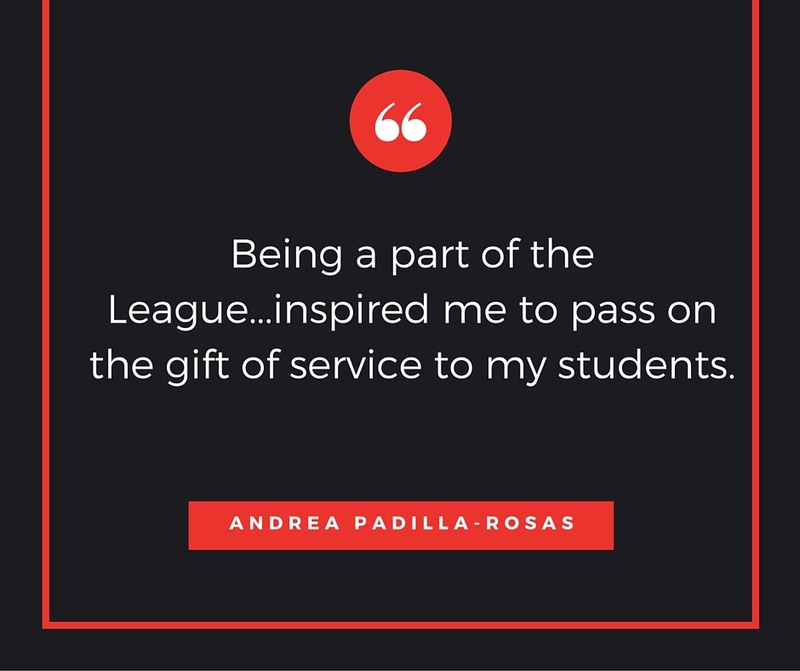 My name is Andrea Padilla-Rosas and I am a New Member this year to the Junior League of Omaha. I am excited to be a guest blogger for Connections. Although I have only been a member for a few weeks I can already tell that joining the League has been a great decision for me, both personally and professionally. I first heard of Junior League in early 2014 through my friend Jamie Ryder. I even volunteered with her at the Color Run, the first year the League staffed the event. I enjoyed speaking with the ladies I met that day and left with a good impression of the League. At the first general meeting on Sept. 14, the guest speaker was Sustainer Gail Graeve. I really enjoyed her humor and her thoughts on being a member of the League. She spoke about work-life balance, family, her experience in the League, her career and the importance of women supporting women. As I sat there listening to her, I could not help but realize how satisfied I am with my experience, thus far, in the League. As the weeks go on, and I volunteer at events to fulfill my member requirements, I am reminded of how my career and participation in the League are closely aligned. I can say, without a doubt, that I am the most fulfilled I have ever felt in my professional life. I know that may sound strange coming from a New Member but it is how I feel right now. Have you heard of AIM Careerlink? I work for AIM in the Youth Department as a College and Career Coordinator at Bryan High School. Specifically, I am the TRiO Upward Bound Coordinator at Bryan. Upward Bound is a program designed to help first-generation and/or low-income students go to college. I work with 60 students in grades nine through 12 and I love my job. We offer an after-school program, college tours, ACT test prep and help with college applications and scholarships, just to name a few of the benefits. Despite the fact that I have a self-imposed PhD in procrastination, I am working to complete my project shifts early this year as work will only get busier as the school year continues. A few weeks ago, I volunteered at the Open Door Mission with fellow League members. The opportunity was part of the Done-in-a-Day community volunteer project offerings that the League offers to members. I had such a positive experience there that I decided to set up a volunteer shift for my high school students. This shift would help them to complete the volunteer shifts they are required to have as members of the Upward Bound program. In addition to that, I proposed an idea to my Youth team for a week-long volunteer academy as part of the summer academies we offer our students. My idea was well-received . Being a part of the League opened up that idea and opportunity to me. It inspired me to pass on the gift of service to my students. I am looking forward to meeting more New Members and actives and learning more about the League this year.